Trump has been encouraged by the response of the Democratic Party to the election to press forward with an extremely right-wing agenda, confident that he will encounter no significant political opposition. In the 10 days since the election, leading Democrats have, in succession, come out to wish Trump well and pledge to work with him in implementing key elements of his nationalist policy. Trump’s selection for “chief strategist” of Stephen Bannon, the former head of Breitbart News, which has ties to fascistic and white nationalist organizations, has been largely dropped by the Democrats and the media. Trump’s government appointments, while drawn from the political and military establishment, are generally along the same line. For attorney general, who supervises both the FBI and the Civil Rights division of the Justice Department, Trump has selected Senator Sessions, (left) an extreme-right figure best known because his nomination as a federal judge was rejected by a Republican-controlled Senate 30 years ago due his racist sympathies. The foremost qualification for Sessions to be the chief law enforcement officer of the United States is his loyalty to Trump, whose vast business empire is mired in scandal and litigation, making his administration a ripe target for investigations into corruption and conflicts of interest. Sessions was the first Republican senator to endorse Trump’s campaign for the presidency, and the only one to offer support until Trump had effectively clinched the Republican nomination. Born in Selma, Alabama in 1946, Sessions was 18 at the time of the famous civil rights march there, led by Martin Luther King Jr. and John Lewis. He graduated from Huntingdon College in 1969, and then the University of Alabama law school in 1973, soon joining the US attorney’s office in Mobile. In 1981, Ronald Reagan named him US attorney for the southern district of Alabama, a position he held for 12 years. During this period, Sessions carried out a notorious witch-hunting prosecution of three veteran civil rights workers, Albert and Evelyn Turner, and Spencer Pogue, charging them with vote fraud under a section of the Voting Rights Act, because of their efforts to register elderly rural black voters. The three were brought to trial, but a racially mixed jury unanimously acquitted them of all charges after deliberating only three hours. Four months after this legal farce, Reagan nominated Sessions to fill a vacant position on the US District Court. Four co-workers of Sessions from the Justice Department testified to racist comments, ranging from favorable references to the Ku Klux Klan to calling a black attorney “boy” during an office discussion. 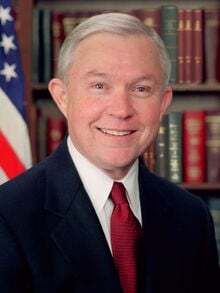 Sessions admitted to describing both the NAACP and the American Civil Liberties Union as “un-American” and “communist.” The political uproar was so strong that a Republican-controlled Senate Judiciary Committee ultimately refused to bring his nomination to the floor of the Senate for a vote. While denied a judgeship, Sessions continued as US attorney and built a political career on the alleged snub, which became a cause célèbre for southern racists. He ran for Alabama state attorney general in 1994 and won, then ran for a vacant US Senate seat in 1996, winning first the Republican primary and then the general election. He has been reelected three times, in his last campaign, in 2014, running unopposed, without even a token Democratic challenger. Sessions has been one of the most consistently reactionary figures in the US Senate, particularly in relation to immigration. 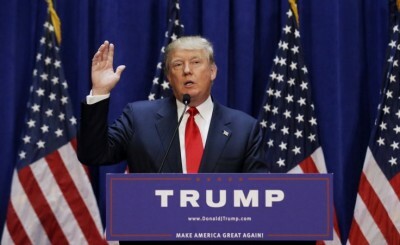 He once told the publication Roll Call that “nativist” was a perfectly acceptable description of his viewpoint. His hardline opposition to both legal and illegal immigration was apparently the basis for his early enthusiasm for the Trump campaign. More recently, he criticized the finding by FBI Director James Comey that Hillary Clinton had committed no crime in her use of a private email server while secretary of state. As attorney general, Sessions would be Comey’s direct superior and could order him to reopen the Clinton investigation, or appoint a special prosecutor, as Trump has suggested. If confirmed, Sessions would be the first Republican attorney general from the Deep South since the Southern segregationists moved en masse into the Republican Party after the civil rights reforms of the 1960s. In the person of retired Lieutenant-General Michael Flynn (right), Trump has put a former military intelligence officer in charge of coordinating foreign and military policy, a clear indication that a Trump administration will engage in even more ferocious military aggression than its Democratic predecessor. 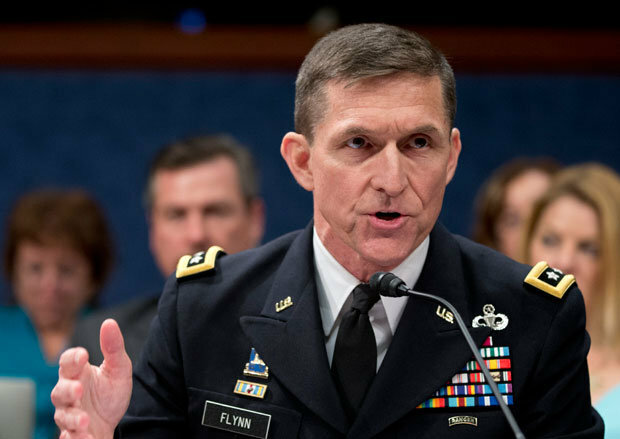 A registered Democrat from a middle-class family in Rhode Island, Flynn entered the military from an ROTC program, not from West Point, and specialized in military intelligence. He was associated particularly with the Special Forces assassination campaigns in Iraq and Afghanistan over the last 15 years. Flynn clashed with the Obama administration in 2014 and was fired by the Director of National Intelligence James Clapper because of his insistence on portraying the conflict with Al Qaeda and later ISIS as a war against Muslims. According to press reports, his obsession led to espousing what subordinates called “Flynn facts,” assertions that bore no relation to reality but bolstered the concept that the US was engaged in a “world war” against Islamist militants. Like Sessions, a major qualification for Flynn is unconditional loyalty to Trump. He signed on early as an adviser on national security issues, backing Trump throughout a campaign in which virtually the entire military-intelligence apparatus, including most Republican specialists in this area, supported Hillary Clinton. He has since evinced a deepening obsession with the conflict with Islam, claiming that sharia, a form of Islamic law, is spreading across the United States, and that the Obama administration has failed to fight the spread of ISIS because it refuses to use the term “radical Islamic terrorism” to characterize the threat. Flynn has backed Trump’s declarations in support of torture, including waterboarding, saying in one interview that he was a “believer in leaving as many options on the table right up until the last possible minute.” Most notoriously, he delivered an anti-Clinton, anti-Obama diatribe at the Republican National Convention, during which delegates began chanting, “Lock her up. Lock her up.” Flynn joined in. For CIA director, Trump has chosen Republican Representative Mike Pompeo (left) of Kansas, a three-term congressman from Wichita with close ties to the billionaire Koch brothers, whose Koch Industries holding company is headquartered there. A West Point graduate, Pompeo served in an armored unit of the Army from 1986 to 1991, but was not deployed in combat. After leaving the military, he launched an aerospace components manufacturer in southern California, which eventually relocated to Wichita, Kansas, a center of light aircraft manufacturing. There Pompeo began his political career in 2010, running to succeed an incumbent Republican who stepped down to run for US Senate. His first campaign was notable because he baited his Democratic opponent, Raj Goyle, the US-born son of Indian immigrant doctors, with billboards urging, “Vote American, Vote Pompeo.” Supporters distributed scurrilous attacks on Goyle as a “turban topper” and non-Christian, in area that has long been a hotbed of religious right activity centered on attacks on local abortion providers. 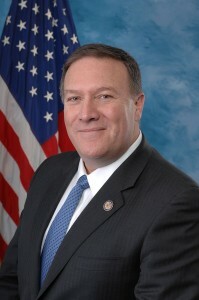 Pompeo supported Senator Marco Rubio in the Republican presidential primaries, only endorsing Trump after Rubio withdrew. Unlike Sessions and Flynn, his political connection to the new administration is vice president-elect Mike Pence, not Trump himself. Pompeo and Pence served in Congress together from 2010 to 2014, and developed a political rapport as part of the most conservative faction of the House Republican majority. 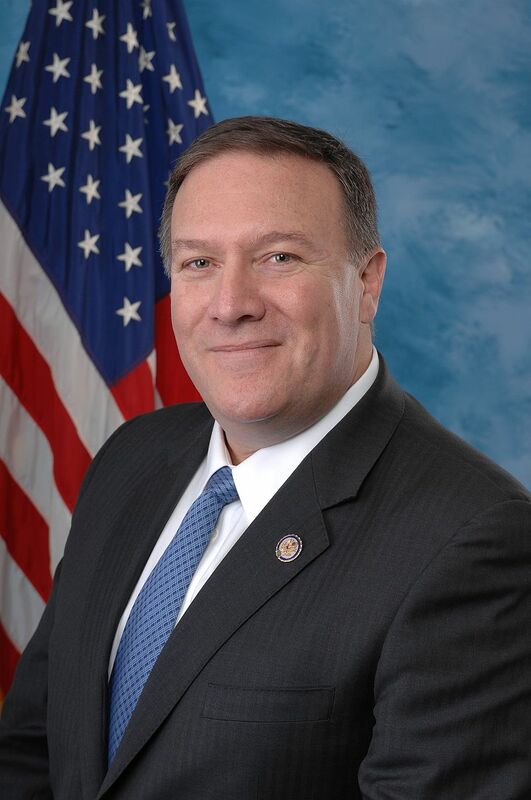 Throughout his six years in the House, Pompeo has stood for the most militaristic and anti-democratic policies, backing the illegal bulk data collection by the National Security Agency when it was exposed by Edward Snowden. He is a member of the House Intelligence Committee and was also chosen to serve on the House Select Committee on Benghazi, set up by the House Republican leadership to undermine the presidential campaign of Hillary Clinton. After the Boston Marathon bombing in 2013, Pompeo denounced Muslim clerical leaders for encouraging such attacks. He also stridently denounced the six-nation Iran nuclear deal, claiming that the Obama administration had surrendered to “the world’s largest state sponsor of terrorism.” On the eve of his nomination to head the CIA, he went on Twitter to declare his determination to terminate the agreement with Teheran.